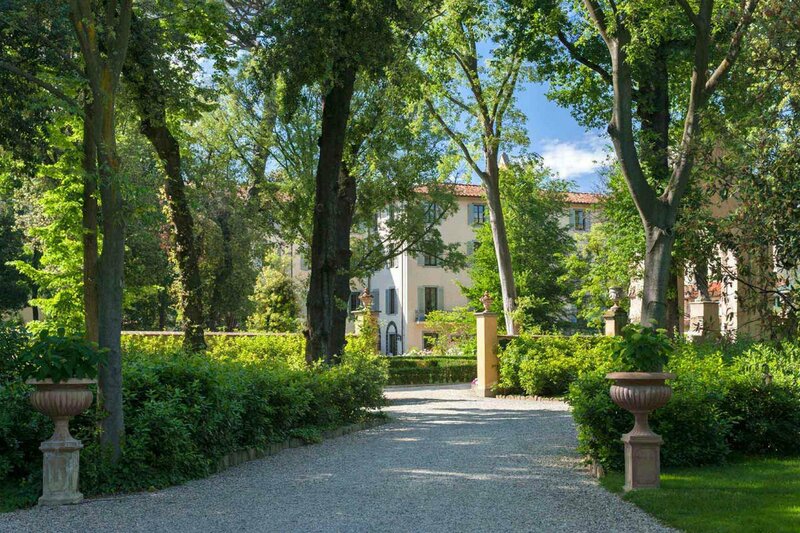 Photo courtesy of Four Seasons Florence. Beat the summer crowds and book your European getaway for spring, the season when the continent hits its stride in the looks departments, when the sun-speckled landscape, buzzing outdoor cafes, and historic architecture are the backdrop of your excellent vacation. We’re focusing on Europe stories this week, which should inspire you to get up and go. And to book your trip through the Popupla Travel Desk. A primary perk of booking with us is the access we get to special deals and offers at the world’s best hotels. Here are a few timely packages, all choice options at grand hotels throughout Europe. Like what you see? Send us a note at [email protected] to book. It’s Florence in the springtime. You won’t want to leave. Isn’t it convenient that they’re giving you a third night free? Valid for travel between March 14-31, 2018. Glam hotels don’t get more glam than this. Get 15 percent off your room rate when booking at least fourteen days before your arrival. It’s never too early to book your holiday travel. If you plan to be in London this winter, you can get a room at one of the city’s most luxurious hotels with a discounted room rate between 25-40 percent off. Also included are daily English breakfast for two, £85 hotel credit, complimentary use of the hotel car for one-way drop off within Central London, and access to the Thermal Floor at ESPA Life at Corinthia. Valid for bookings from December 15-30, 2018. Reservations must be made by March 31, 2018. Get a fourth night free. Valid for travel through April 8, 2018. Read more on Popupla: Ten Best London Family Hotels. Ready to go? Email the Popupla Travel Desk at [email protected] to book these amazing hotels. And to make sure you never miss Popupla’s insider specials, subscribe to our . Get a third night free — more time to revel in the lovely outdoor spaces and relax in the terrific spa. Valid for travel now through April 8, 2018. Just don’t leave Spain! The beachfront hotel will give you a complimentary fourth night if you travel before April 7, 2018. Get a fourth night free. Valid for travel now through April 25, 2018. Get a third night free. Valid for travel now through April 8, 2018. Our partners at Skylark have terrific airfare--hotel options to some of our favorite destinations. You’ll have to join Skylark, and membership is free. Get four nights in a classic room, airfare for two from New York City to Lisbon for $2,524. Valid for travel from Friday, April 20 - Wednesday, April 25, 2018. , a free members-only booking website. Get three nights in a deluxe room with plunge pool for $1,158 (a savings of 20 percent). Valid for travel from Sunday, May 13 - Wednesday, May 16, 2018. , a free members-only booking website. Ready to go? Email the Popupla Travel Desk at [email protected] to book these amazing hotels. Read more about why you should book with us.